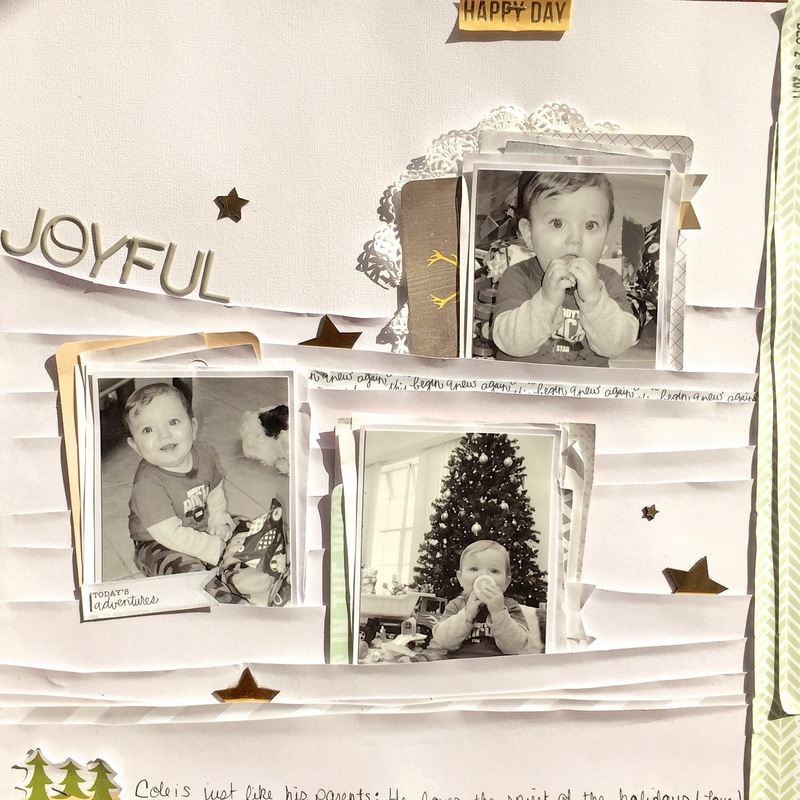 Cole was 9 months old when he celebrated his first Christmas Holiday. So, of course he had no idea what was going on, but that didn't stop me from decorating every square inch of our home, putting cookies out for santa, and singing Christmas carols through the entire month of December. It is, by far, my absolute favorite holiday. I want Cole to experience Christmas the way I did when I was young; the magic of walking down the stairs Christmas morning and seeing the stockings full of goodies and the tree surrounded with a pile of beautifully wrapped packages. Yes, I am well aware that this is not the meaning of the holiday, but they are my childhood memories. Cole's first Christmas morning experience was in 2011. My husband, Kendall carried him down the stairs, where i was waiting impatiently with my camera ready. He saw me and gave me a smile, not even noticing the huge baby pool next to me, surrounded by presents. We sat down with him and showed him how to tear the paper off to get to the toy inside. He figured it out pretty quickly and had more fun ripping the paper than anything else. I look forward to many more holiday years to come with this adorable little boy. For this layout, I used Studio Calico's Walden Kit and the Walden Project Life Kit. The November kits were full of soft colors and gorgeous embellishments, perfect for a winter layout. I used Studio Calico's Sunday Sketch to create this page.